By Amid Amidi | 05/30/2018 5:19 pm | Be the First to Comment! Triggerfish, the largest cg studio in South Africa, has announced that it has started production on the studio’s third feature film, Seal Team. 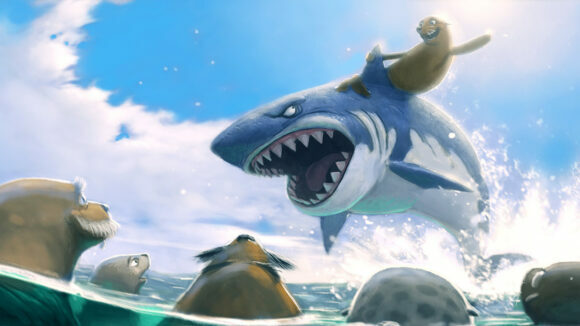 The action-comedy follows an orphan seal, Quinn, who has been dodging sharks off the coast of South Africa his whole life, but after he loses his best friend to a great white shark, he forms a ragtag special ops unit to fight back. The 32-year-old Greig Cameron will make his feature film debut as Seal Team’s writer-director, working from an original story and screenplay by Brian and Jason Cleveland and Wayne Thornley (Adventures in Zambezia), with Anthony Silverston (Khumba) as head of development. Cameron has previously directed 45 episodes of the Disney XD tv series Supa Strikas. Other credits include serving as head writer on Mike Scott’s Moosebox, currently in production with Nickelodeon, and writing for Sunrise Productions’ Munki & Trunk, currently on Nicktoon. Seal Team is financed by the Industrial Development Corporation, The Department of Trade and Industry, and Cinema Management Group (CMG). The film has already pre-sold in over a dozen international territories. 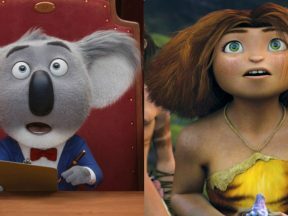 Triggerfish’s first two film – Adventures in Zambezia (2012) and Khumba (2013) – are two of the five highest-grossing South African feature films of all time, with a combined worldwide theatrical box office of over USD$50 million. 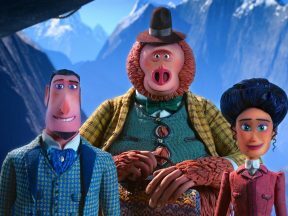 The Cape Town-based studio has also provided animation on three BBC Christmas specials produced by Magic Light Pictures: Stick Man (2015), The Highway Rat (2017), and Revolting Rhymes (2016), the latter of which was nominated for an Academy Award this year.